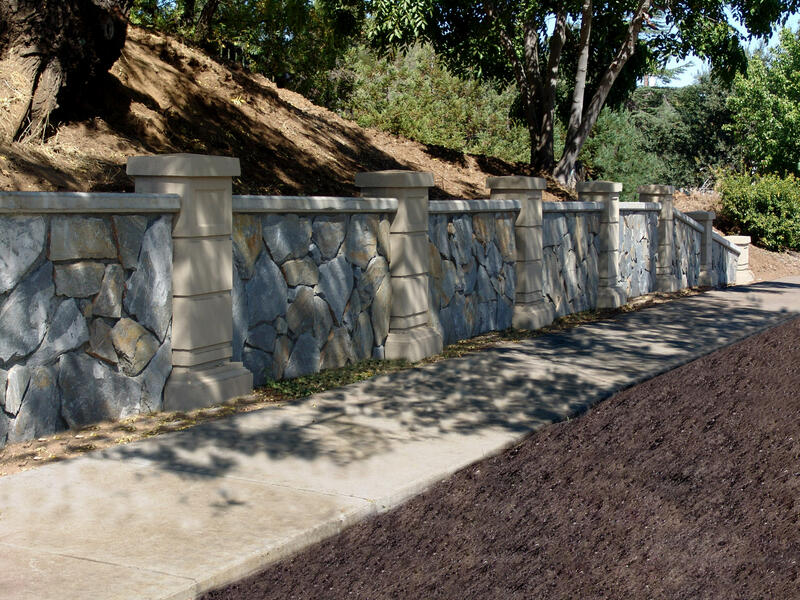 This system creates a very attractive and substantial structural retaining wall for walls up to 6 ft. high. No tie backs are needed. 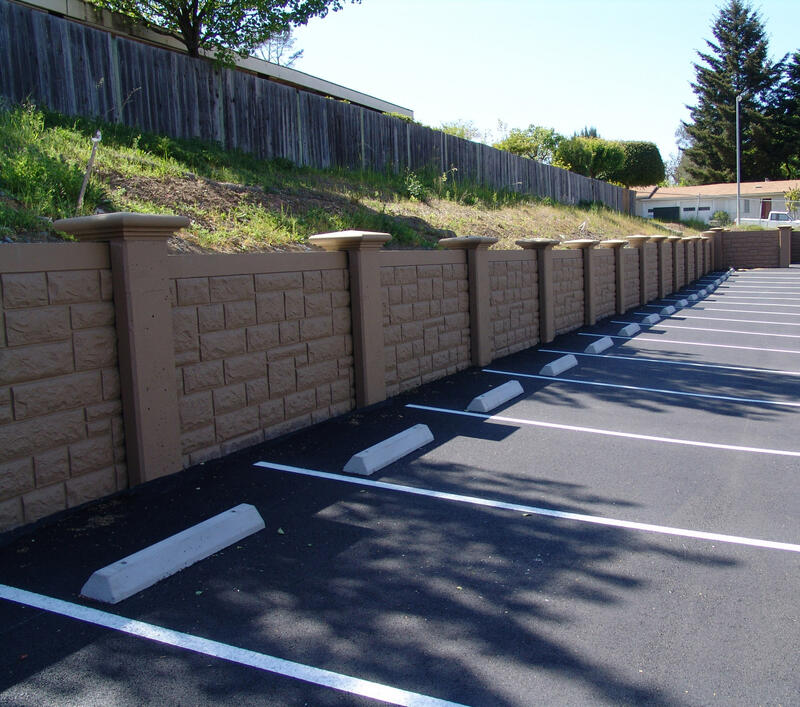 It can also be built to a higher height with tie backs and proper engineering, AND it can be constructed in conjunction with our Dynapanel wall system should a fence or soundwall/screenwall be required above the retaining portion. Various face treatments available are: casted stone or wood patterns, paint your color, various reveals and fractured fin patterns, and real flagstone rock facing. Rolled caps along the top and pier caps are also available. The system utilizes a cast in place column.